Prolonged extreme drought and resulting water shortages within Australia during the ‘Millennium drought’, over the period 1997 to 2009, triggered the implementation of the federally mandated Water Act (2007) towards better monitoring of water availability and water use nationwide. 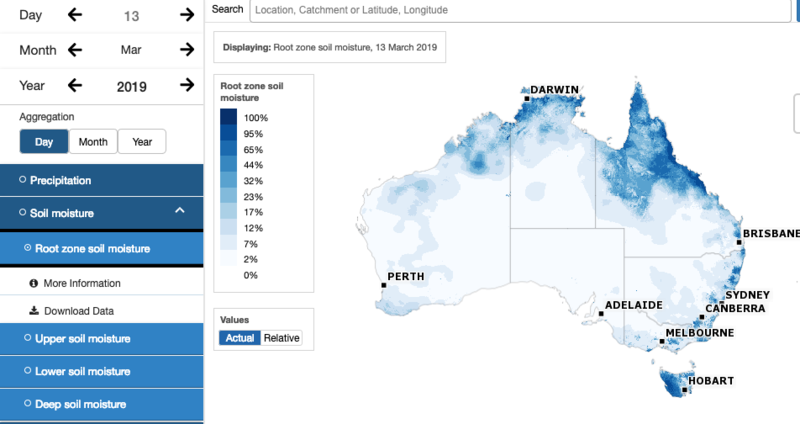 As a result, the Australian Bureau of Meteorology (the Bureau) was given responsibilities including collating water data from jurisdictional agencies and analysing and reporting on water status, in addition to its existing weather and flood forecasting responsibilities. The Australian Water Resources Assessment (AWRA) Modelling System underpins the Bureau’s water information services for national water resource assessment reporting, water use accounting and situation monitoring. 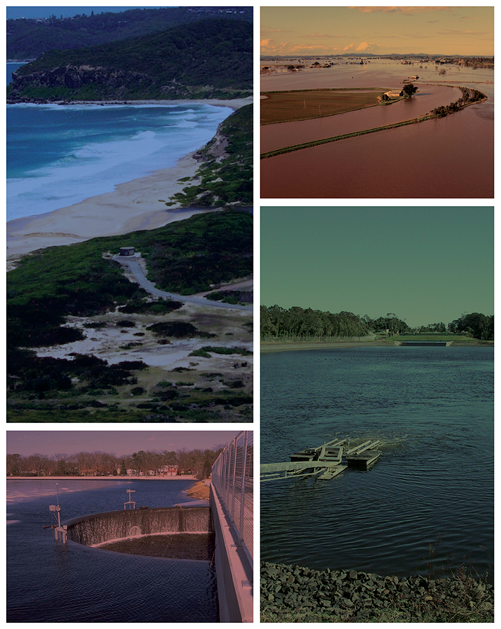 The modelling system has been developed by the Bureau and CSIRO over the last decade and is run operationally within the Bureau to provide both situational awareness and national retrospective water resource assessment. The AWRA-L (landscape) model runs on a daily timestep and 0.05° grid (approximately 5 km) simulating the landscape water balance for Australia from 1911 to yesterday. Key outputs from the AWRA-L model include surface runoff, soil moisture, evapotranspiration (various forms available including landscape, reference crop, open water, synthetic pan) and deep drainage. Outputs from the model are available through the website interface (http://www.bom.gov.au/water/landscape); or by request as a registered user through other means. AWRA-L outputs are being used for retrospective studies e.g., soil moisture in derivation of design storm losses and runoff for estimation of overland flow in ungauged areas. AWRA-L is also used operationally e.g., in monitoring antecedent soil moisture conditions for flood preparedness and evaporation for water demand/use modelling. AWRA-L is optimised to the whole water balance using a national streamflow dataset along with satellite derived soil moisture and evapotranspiration estimates. The model is validated against a wide range of observational datasets including point scale soil moisture probe data, flux tower estimates and groundwater recharge estimates. The modelling system has recently been released as a community modelling system (https://github.com/awracms/awra_cms), enabling application and development by the wider research community. Further planned development includes implementation of flow routing, application at the 1km scale, operational data assimilation, forecasting (1-10 day and seasonal) and hydrological projection products, and comparison and collaboration with other national/global efforts in this space.